FitBALL Seating Disc from HealthyKin.com is an air-filled disc with a unique dome-shaped top that mimics the FitBALL exercise ball. One of the most versatile fitness and rehabilitation tools available, the FitBALL® Seating Disc can be used as a standard balance disc or as an active sitting seat cushion. 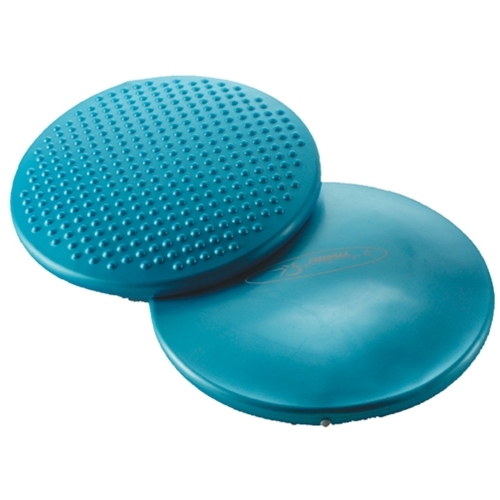 The standard FitBALL Seating Disc is 15" wide and has an iridescent blue color. The Junior Seating Disc is 12" wide and has a green color. I feel that the disc is rehabing my back and posture. Great product. Great for the office chair. I don't recommend for the car though. Doesn't feel safe when making turns. Great seat to help students move in a way that is not distractiong. Great price. 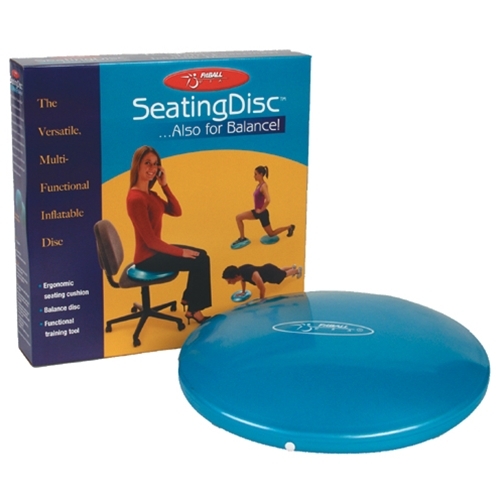 Great for posture and muscle tone while seated! One to every patient! Best price around! Great product at a great price. Our patients love them and they are getting good results incorporating them into their care. I'm very happy with the product. I use it daily as a back support for my lower back.